We love to go wine tasting, obviously. This site alone has hundreds of proof points for that. Most of our tasting experiences are in Northern California, but we occasionally venture further afield. In this case, we drove the barren scenery of I-5 all the way to Carlsbad. Once there, of course, we went wine tasting! Carlsbad is a lovely ocean-side community just north of San Diego, and directly adjacent to the aptly named town of Oceanside. It offers year-around amazing weather, scenic beaches, dozens of quaint restaurants, and two wineries. 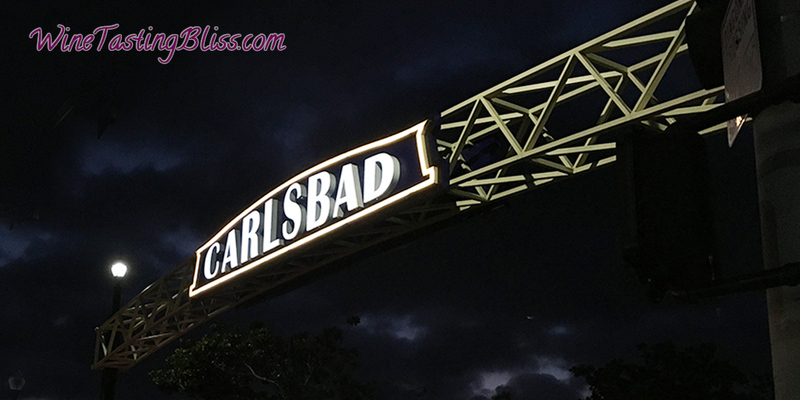 Carlsbad is a very walkable town, at least for tourists like us, so we parked our car when we arrived and pretty much walked everywhere we wanted to go! 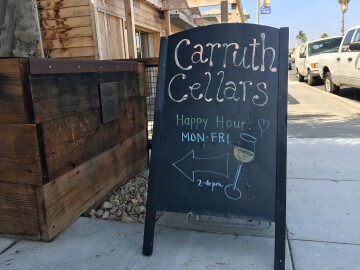 Our first wine-oriented walk took us to Carruth Cellars Urban Winery. Using the term “urban” in Carlsbad is like calling your child’s scooter an SUV. That said, the entire facility was creatively constructed to deliver a relaxed and welcoming experience. One wall of the winery was made from tall roll-up garage doors, creating an airy feeling that blurred the lines between indoors and outdoors in a wonderful way. Wine guide Pam welcomed us and gave us our choice of seating. Yes, seated tasting! We chose an outdoor table to soak us some sunshine and take in some Carlsbad atmosphere. Pam explained their tasting menu and pointed out the snack options, sensing that we all were a bit peckish. 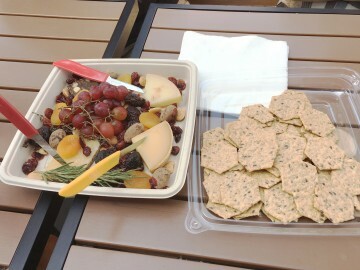 We divided the tasting options among us and ordered a cheese and fruit platter. 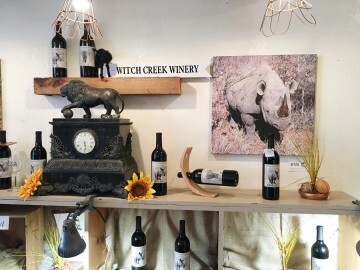 We found a number of wines that competed for “best of tasting.” Their 2015 Unicorn Red, a fun red blend that was lively and fun, especially paired with some of the harder cheeses. The 2015 Bordeaux Blend was a lovely favorite, with a full mouth feel and a hint of acid on the finish. Their 2013 Cabernet Sauvignon had everything that Cab lovers look for in a wine. Great fruit, nice layers, and a subtle finish. We worked (really, is this work?) our way through the tasting flights and munched on the cheese and fruit and crackers, enjoying our interactions with Pam and loving the Carlsbad vibe. We compared flights, experimented with cheese pairings and generally had a good time. Eventually, though, our flights were completed and the snack tray emptied. It was time to say goodbye to Pam and head off to the other winery in Carlsbad. Luckily, it was within easy walking distance. 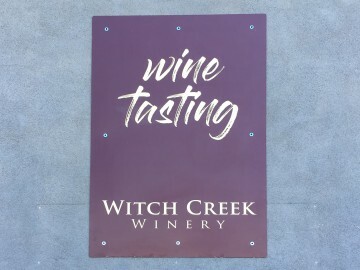 We had visited Witch Creek Winery before, so we were very excited to return. 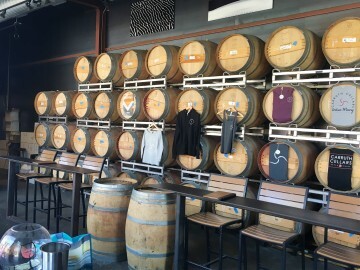 This winery combines two favorite beverages: coffee and wine. 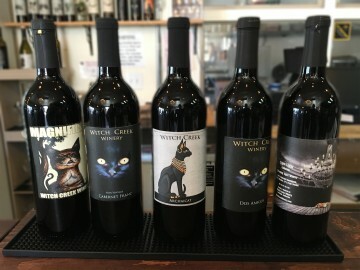 As some wise person once said, “I drink coffee to make it until it is acceptable to drink wine.” Witch Creek has it covered! As we entered, the large, high-ceilinged room had customers evenly divided between coffee and wine. Love the balance! We met wine guide Daniel and chose a table that balanced easy access when he was bringing more wine with ample opportunities to look at the array of art, merchandise and clever wine labels. 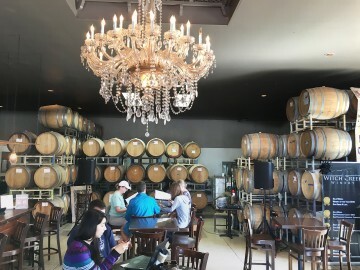 We were grateful for another chance to enjoy a seated tasting, giving our feet a break from our Carlsbad wandering ways. We immediately noticed that the adjoining outdoor space had been set up with tables and chairs, dramatically increasing the seating capacity and welcoming sun worshipers. Daniel started us out with their Cool Cat Sparkling wine. A delicious sparkling that we had purchased in some quantity on our previous visit, we loved the bright fruit and dry finish. We were more than a little disappointed to learn that it was sold out, leaving us an unrequited yearning for refrigerator inventory. Their Magnificat was big and plummy, with hints of anise and smoke leading to a punchy finish. Another favorite was their ArchaiCat, pronounced “yummy” by Laura and “interesting finish” by Gwen. We all agreed that this red blend had a lot to like. Like our previous visit, we all fell in love with their Dos Amigos. Daniel described this blend as, “Magnificat minus the Nebbiolo.” We loved the Port aromas and cacophony of fruit on the tongue leading to an astringent finish. This leaped onto our “take home” list. 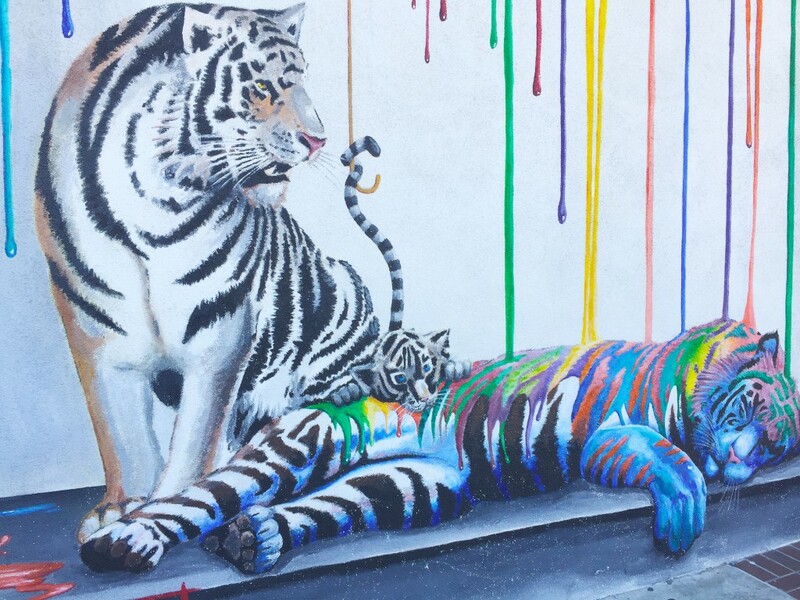 The amazing conclusion to our tasting was their Screaming Kitty. Great aromas lured us in, with Zinfandel notes leading the way across the palate. Laura even tasted a bit of hot pepper on top of the cracked black pepper that we associate so much with Zins. This kitty pounced on our take home list and dominated it. With a full tasting flight under our belts, and arms laden with bottles, we bade Daniel goodbye. 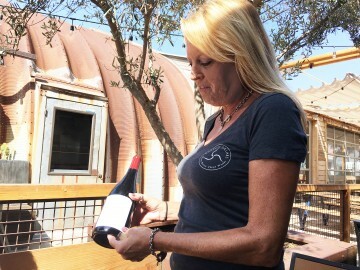 Judi picked up an artisanal coffee to go (which was amazing, by the way) and we trouped back to our condos, very pleased with ourselves for finding both tasting rooms in Carlsbad! Previous Post:Mumm Napa – Always a Fun Tasting!